In late 1999, school directors, Sherry VanDerKooi, Angie Samis and Christine Keery founded Avalon Children’s Montessori School. As fully qualified Montessori teachers, they had experience working in successful, well-run Montessori schools as well as schools lead by the singular principle of making a profit. In the latter, not only had the Montessori philosophy been abandoned, but large numbers of children were housed in small classrooms with unqualified teachers. Together, Sherry, Angie and Christine decided to start a school where the needs of the children were the number one priority and integrity was a key element in the daily operation of the school. 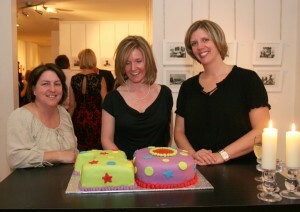 These three women shared a vision for a child-centred program dedicated to providing a quality Montessori education. Since opening the doors at the Wood Glen location in September 2000 with just 2 classrooms, Avalon has continued to steadily grow and succeed. Avalon is now proud to offer Montessori education for children ages 2 1/2 through to 14 years at two locations in the Beach community of Toronto. Paramount to Avalon’s success has been the happiness and growth of the children and the support of their families. All three women are still actively involved in teaching and the day to day operations of the school. This is one of the unique characteristics of Avalon and one of the features that sets Avalon apart from other Montessori schools. Sherry, Angie and Christine have built a successful small private school with a mission to provide quality education that embraces the unique characteristics of each and every child, developing in them a love of learning that will last a lifetime. They are proud to be celebrating over 15 years in the Beach!